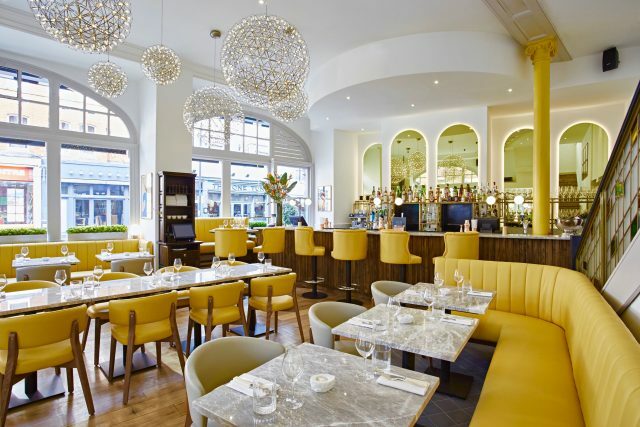 In 2016 the team behind The Henry Root in Fulham and The Princess Victoria in Shepherd’s Bush opened Dickie Fitz, a glitzy Art Deco-inspired restaurant in Fitzrovia boasting jazzy circular light fittings, a stained glass staircase and canary yellow barstools and booths. Housed inside what was once the Newman Street Tavern, the building dates back to 1899 and the ‘Fitz’ in Dickie Fitz tips its hat to the restaurant’s location in Fitzrovia. Sadly the venue stopped trading last year but we loved its interiors so much we feel it merits a mention in our line-up.